Our hopes for Le Chamarel to be a BYOB joint to enjoy a couple of cheap drinks on a cold Friday evening (as if often the case with places like this) were soon dashed when we found they had a strict no alcohol policy on site, but this didn’t stop us from enjoying some lovely food. It was an odd place really, due to it being very very quiet in there, feeling like we almost had to whisper so as not to disturb the peace. 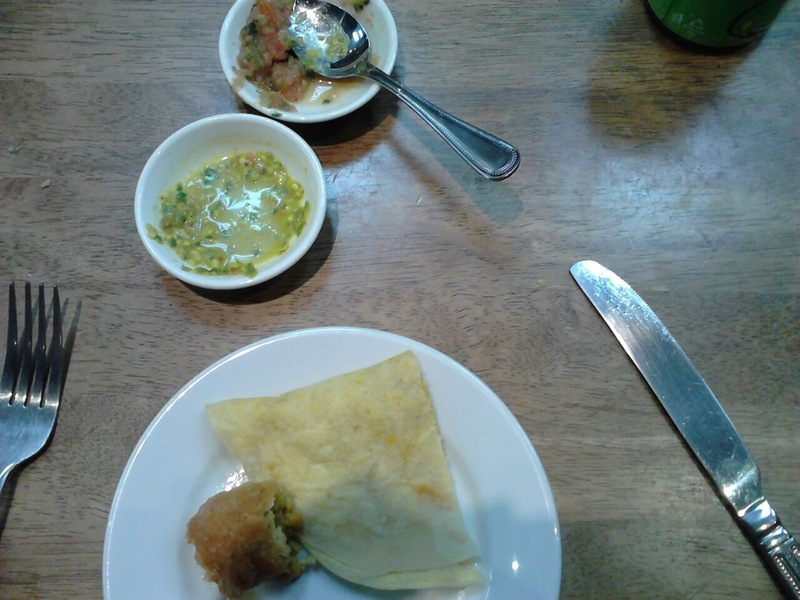 The dishes, particularly the ‘traditional snacks’, were very cheap so we went for a selection of those knowing very little about what they actually were. They had run out of a couple of our first choices (not prepared for the Friday night rush perhaps!) 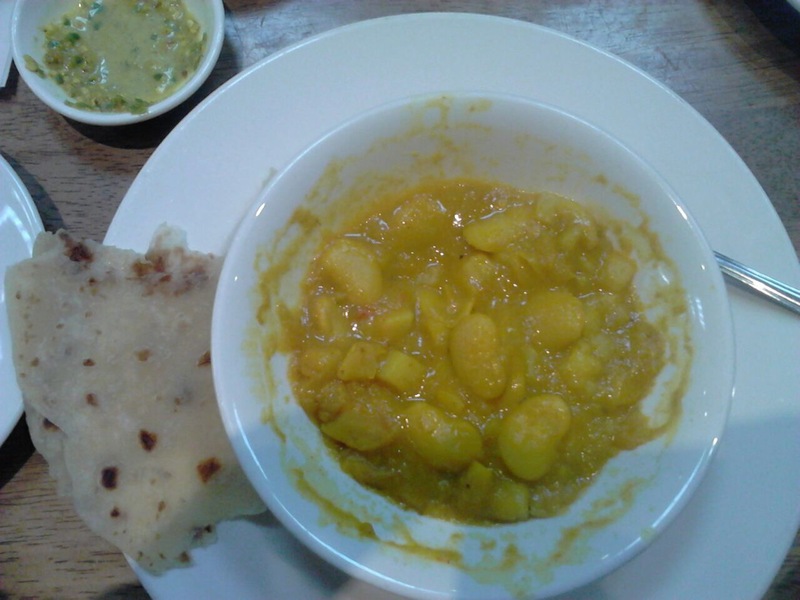 but we ended up with a couple of rotis, dhal puri and channa puri. I’m not sure which were which so I’m afraid I can’t comment on them individually though they were all pleasant and came with a couple of sauces (including one particularly powerfully spicy chilli sauce!) 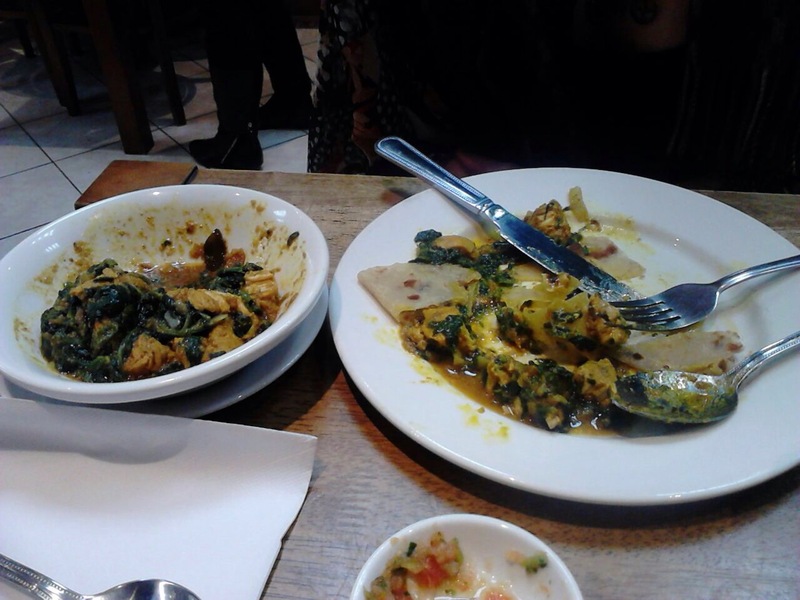 For the main event we had chicken and spinach curry which was also on the hot side, and butter bean curry. The latter was tasty though the sauce tasted a bit fish & chip shop curry sauce-like. 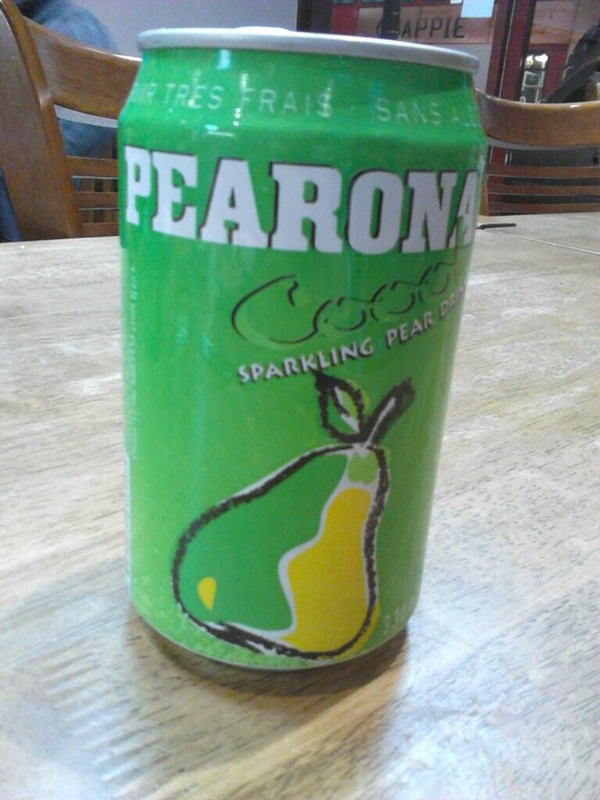 We washed it all down with cans of Pearona, a refreshing fizzy pear juice drink in a can. A very good cafe to go for a casual dinner or lunch on a budget – would return! This entry was posted in Uncategorized and tagged asian, cuisine, curry, Dining, dinner, Dinnergeddon, Eating out, Food, le chamarel, London, mauritius, north london, pearona, restaurants, roti, turnpike lane by dinnergeddon. Bookmark the permalink.